I (delightedly) married into a boat loving family, but honestly who doesn't love boats? Fun fact - Phil and I met for the first time out on his boat in California, so no one was surprised when Ruby took her first spin around the lake at 8 weeks old. We spent this past weekend with Phil's family and we were out on the water a good portion of our Saturday. Ruby hated her life jacket, loved the wind blowing in her face, devoured hummus, and took her hat off at least 100 times. Boating is such a great family activity and one that's perfect for all ages. If you're planning on heading out on the water with your little one this spring here are a few key items to bring along for a safe, relaxing and enjoyable experience. Sun Hat - Sun in your eyes is no fun, especially for a baby. 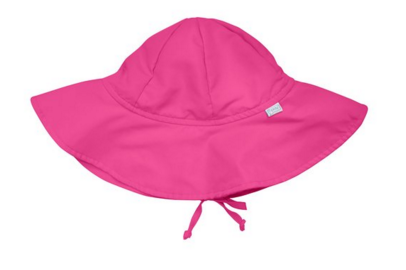 Be sure to grab a sun hat with protection, this one offers UPF 50+ to keep those rays at bay. Cover Up - After a quick dip in the water a lightweight cover up offers the perfect shield from the sun and will calm those chattering teeth from the breezy air. Sunscreen - If your little one is 6 months or older you have the green light to lather them up with sunscreen. If your baby is under 6 months old skip the sunscreen and take extra care to keep them out of direct sunlight. Mustela is great brand for babies with sensitive skin. Life Vest - Obviously the most important item to have when you are out on the water with a baby is a life jacket. Knowing your baby will be safe in case of an emergency gives everyone peace of mind. 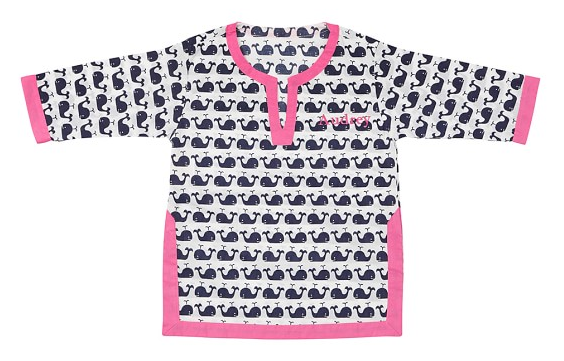 This one is perfect for little ones who are under 30 pounds. Swim Diaper - What a wonderful invention. These diapers keep messes under wraps without the bulging and sagging that you would get from a wet standard diaper. Water - Even the babies need to hydrate! Ruby didn't have water before 6 months but she has quickly become a sippy cup pro. If you haven't yet reached the water milestone, breastmilk/formula will provide all the hydration your water baby needs. Bottoms up!